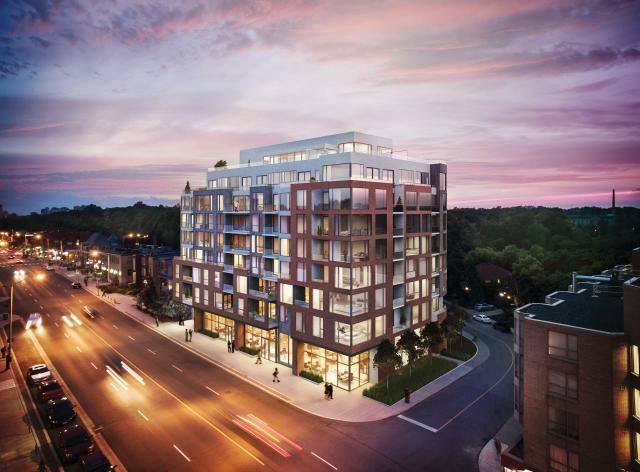 Picnic, The High Park II, development proposed for 2114 Bloor Street West in Toronto, by North Drive Investments. An 8-storey condominium with at-grade retail, designed by Quadrangle Architects with Janet Rosenberg + Associates. Toronto condos.